There are certain boxers from my past that in retrospect would be champions today. One such boxer was tough enough to be nicknamed “Bad.” He was Bennie Briscoe from Philadelphia and brother you better bet he was just that, “Bad.” He was probably the most feared middleweight of his era and it was a tough time just be a middleweight in Philly. If you were bad there, you were bad everywhere. Briscoe turned pro in 1962 and would win his first fifteen contests. Among his victims were Charley Scott and Percy Manning. In a return with Manning in 1965, Bennie would suffer his first setback. That year he would also lose to Tito Marshall and Stanley “Kitten” Hayward. In 1966 Bennie would halt the highly respected George Benton. 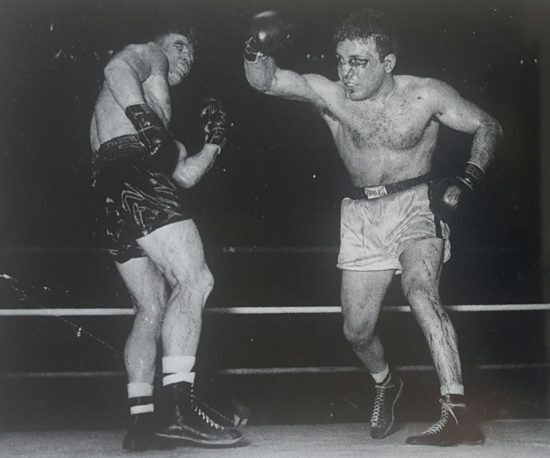 Bennie was now among the middleweight elite. The year 1967 would see him lose two decisions to the great Luis Rodriguez. 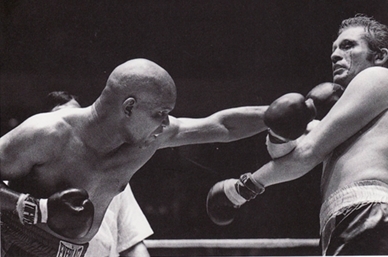 Sandwiched in between those losses was a draw in Argentina with a fella named Carlos Monzon. In 1968, he would lose to future light heavyweight titleholder Vincente Rondon. He would knock out Rondon in a 1969 rematch. Author, Member Boxing Writers Association of America, Tom has been with “dmboxing.com” with his expertise since 2008 through the recommendation by our mutual friend Ring Sports Magazine Editor Rusty Rubin (R.I.P.) … Rusty was the first contributor to this website upon its beginning in July 2007 with his award winning column “In Rusty’s Corner”. Danny Jacobs edged past former sparring mate and undefeated Sergiy Derevyanchenko for the IBF Middleweight title. He won by a split decision as two judges had him winning 115-112 while Julie Lederman had Derevyanchenko winning 114-113, disagreeing with her father who had Jacobs winning by a wider margin than the judges. I had 116-111. Both fighters knew each other after sparring over 300 rounds and while Derevyanchenko came in with a 12-0 record but he also had 20 plus fights in the World Series of Boxing that did not count in his professional record. Derevyanchenko was noted for the being an aggressive fighter but over the first half of the fight, Derevyanchenko showed restraint in his attack and with good reason. Throughout the bout, Jacobs launched vicious body shots and it didn’t help Derevyanchenko that he went down from a flash knockdown on a Jacobs’clubbing right hand near the end of the first round. Derevyanchenko did manage a combination in the second round that shook Jacobs up but from that point on, Jacobs showed overall better skills and ring generalship as he moved and gave himself angles to hit Derevyanchenko. Derevyanchenko fought a competitive fight and many pundits had the fight closer than I did. Each round was competitive including the first round, until Derevyanchenko hit the canvas at the end of round one. The second Golovkin-Alvarez was closer than their first bout and while I won’t say that Golovkin was robbed in this fight, he better understand he will never fbeat Alvarez short of knocking him out. I had Triple G’s the winner in the first bout 115 to 113 but this bout was closer as Alvarez pushed the action and as HBO Roy Jones noted that Alvarez pushed Golovkin and that unlike any previous Golovkin fights, Alvarez stalked triple G’s. In their first bout, Golovkin threw 200 more punches as he did in the second bout but in the first bout, he landed nearly 50 more punches than Alvarez and power punches were nearly the same. He out punched Alvarez in 10 of the 12 rounds and this was why many were disappointed he wasn’t awarded the decision. 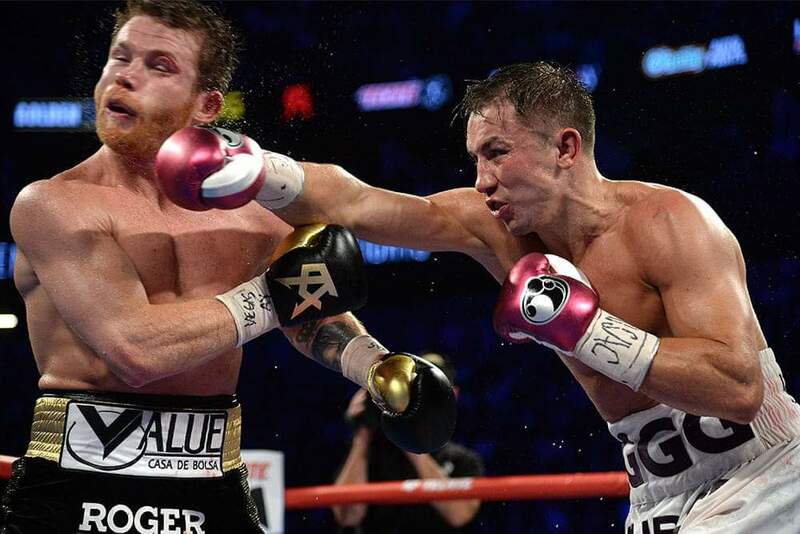 In this bout, he landed twice as many jabs as he did in the first fight but Alvarez landed nearly twenty six more power shots than Golovkin and Golovkin landed more punches in 7 rounds as compared to 4 for Alvarez and one even. The perception of Alvarez more aggressive stance gave judges the reason to award the fight to Alvarez and the closer nature of the rounds aided Alvarez in the decision. There were rounds Alvarez won in which he landed fewer punches because he landed effective power shots. Last night, at the T-Mobile Arena in Las Vegas, a sellout crowd of 21,965 along with thousands more watching on HBO Pay-Per-View, witnessed a far more competitive fight than the first time these two warriors met. Although the rounds were closer, I still scored the rematch exactly as I scored the first encounter; Golovkin the winner 7 to 5 in rounds or 115-113 in points. The judges scores were 114-114 and 115-113 twice for Alvarez. With the win, Saul “Canelo” Alvarez (50-1-2 / 34 by KO) took the WBA/WBC World Middleweight Crowns from Gennady Golovkin (38-1-1 / 34 by KO) via a 12 round majority decision. Last weekend, Vasyl Lomachenko found himself in a fight going into the tenth round that was close with one judge having it two points lead for Lomanchenko, another scoring a two round lead for his opponent Jorge Linares with final judge seeing it a draw. Lomachenko has been a champion since his third fight and in his twelve fight, he has moved up in weight from featherweight to lightweight, and considering most fighters are nowhere near to an championship belt in their twelve fights and Lomachenko having already won eight championship fights coming into this fight. He came into this fight with Linares seven knock outs in row, with the last four fighters retired in their corner. This was his first attempt at the lightweight title and Jorge Linares was the first fighter since the Russell match that prove competitive with Lomachenko. Linares landed more power punches where Lomachenko landed more jabs and Lomachenko was more accurate in his punches but the number of punches were nearly equal. Linares even sent Lomachenko down for a quick knockdown in the sixth round. In the tenth, Lomachneko unleashed a five punch combinations that sent Linares down for good. The question now where Lomachenko go? In the lightweight division, there are some good options to including fights with Ray Beltran and Mikey Garcia to unify portions of the lightweight titles. Lomachenko is one of those complete fighters who can box and slug and has eight knockouts in his twelve fights but these knockouts came against championship caliber fighters and not inflated by weak opponents. So Lomachenko power is for real. In a match of the classic boxer vs. the classic puncher WBO middleweight champion Billy Joe Saunders (26-0 / 12 by KO) completely dominated David Lemieux (38-4 / 33 by KO) in a twelve round one-sided bout on Saturday night in Lemieux’s home town of Laval, Quebec, Canada. It was a fight made to order for Saunders who made his first trip for a fight over the Atlantic Ocean from his home in Hatfield, Hertfordshire, United Kingdom. As a southpaw, he used an excellent lead right hand jab along with outstanding footwork and was impressive in every phase of the fight. “Triple GGG” Gennady Golovkin took on what may have been his toughest opponent, Daniel Jacobs but only for WBA and WBC but not IBF as Jacobs refused to do his morning weight in. (IBF rules stated that the fighter can only gain up to ten pounds following the official weight in.) By refusing the IBF, Jacobs could rehydrate to higher weight for an extra advantage over Golovkin. Before these two fighters get it on, Roman “Chocolatito” Gonzalez faced Thailand’s Srisaket Sor Rungvisai for Gonzalez, Super flyweight championship. Over the first two rounds Rungvisai dominated with his power and even sent Gonzalez down for eight count near the end of the first round. WBC/WBA/IBF middleweight champion Gennady Golovkin (37-0 / 34 by KO) retained his title belts with a hard fought unanimous twelve round decision over Daniel Jacobs (32-2 / 29 by KO) on Saturday at Madison Square Garden in New York. This was the first time in Golovkin’s eleven year career that he ever had to go the twelve round distance. Previous distance victories were eight rounders. Golovkin started off in a slow paced manner before taking charge in round four, dropping Jacobs with two hard right hands. I gave Golovlin four of the first five rounds, with a 10-8 score for the knockdown in the fourth.